It seems that the appearance of a pill can influence a patients’ willingness to take it. This curious finding emerged from a study of heart attack patients who were faced with changes in the color or shape of the medication they were prescribed to take after their cardiac events. These patients were 30 percent more likely to discontinue taking prescribed generic cardiovascular medication (including beta blockers, angiotensin-converting enzymes inhibitors, angiotension II-receptor blockers and statins) within the first year. 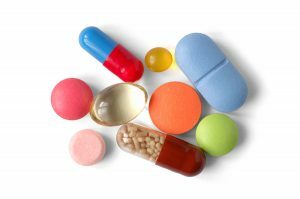 With this in mind, patients with concerns over the safety or effectiveness of the generic drugs they are taking due to their appearance are advised to consult with the pharmacist. Do you have any questions concerning the appearance of the medications you are taking? At Med-Fast Pharmacy, we maintain extremely rigorous standards in patient safety. You should always consult with a pharmaceutical professional before taking any medication.